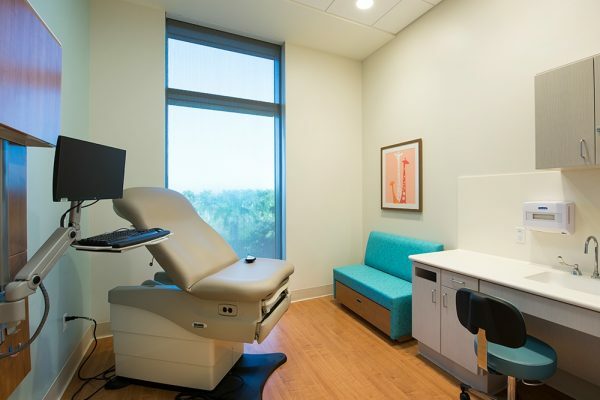 From the early stages of project planning, Baptist Health South Florida aspired to build a single-source cancer treatment center that would rank among the top cancer treatment facilities in the world. Robins & Morton partnered with project subcontractors, the design team, the client, and community stakeholders to build a 445,000-square-foot facility with some of the largest and most exacting technology in the healthcare field. Robins & Morton encountered various obstacles throughout the completion of this project that required the team to think and react quickly to unforeseen events and conditions. A significant late addition was encountered when a proton therapy center was added after the CDs were complete, but the team quickly came together across disciplines and companies to reconfigure the design and make necessary adjustments. Partnerships and communication were key in the on-time completion of this project. 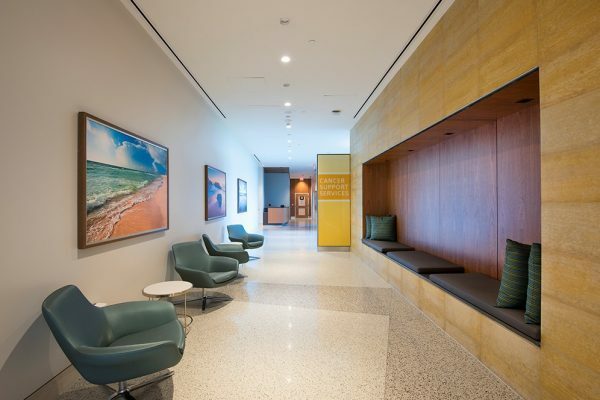 The Miami Cancer Institute has seen great success since its opening, with both internal and external satisfaction. In addition to meeting the unforeseen issues, the team excelled in championing the all-important client communications challenge. They continuously kept our stakeholders informed of the plans and timetable for construction activity, thus minimizing the impact and disruption often associated with a large-scale building project. By applying Lean planning and construction methods, and by taking the time up front to collectively explore the most efficient, safe, and practical methods of carrying out this project, the team was prepared to overcome the inevitable surprises and obstacles. 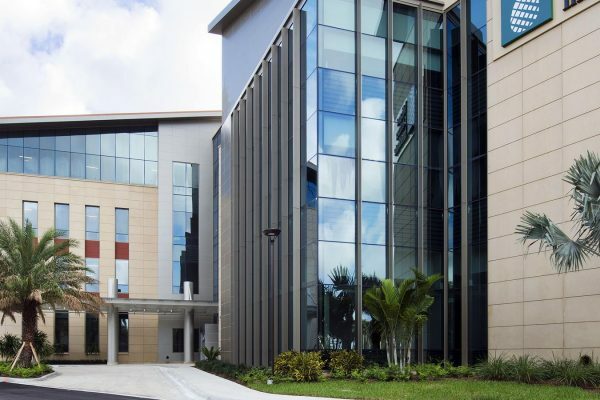 Designed to withstand a category five hurricane, this 305,000-square-foot outpatient cancer center is located on the northeast corner of the Baptist Health South Florida Miami campus. 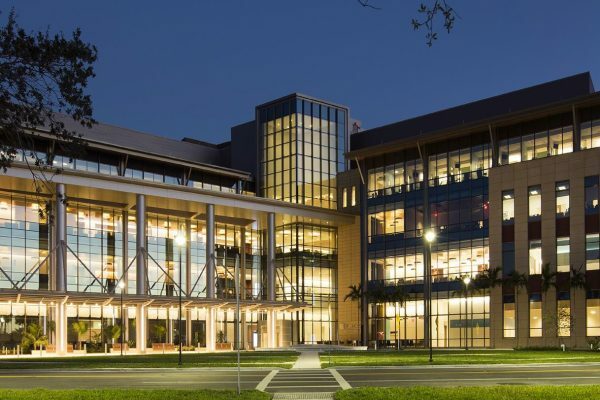 The Miami Cancer Institute at Baptist Health South Florida has world class diagnostics and treatment facilities, including six radiation treatment vaults (housing three linear accelerators, a tomo, a cyberknife and a gamma knife), two MRIs, two CT/SIM, one HDR and two PET/CT. The high-end exterior and interior finishes include an exterior reflection pond and three interior jellyfish tanks. In addition to a 140,000-square-foot, four-story research laboratory shell space, the center also features two parking garage structures with the capacity for nearly 1,200 vehicles and an attached 350-foot pedestrian bridge. Other features include a 15,000-square-foot central energy plant with emergency generators, chillers and a cooling tower.